Doc Ferds Recio and Kiko Rustia, the hosts of Born to be Wild, will present a special report on the energy situation of the Philippines. This Thursday, April 29, Born to be Wild presents another thought-provoking installment of its Green Agenda Report. Many residents complained of huge electric bills that almost doubled this month. The electricity sector has already explained that this is due to a higher generation charge. But how many people actually understand how electricity makes its way to their homes? Where do residents, particularly from the urban areas, really get the energy to power fast-paced lives? This Thursday, Doc Ferds Recio and Kiko Rustia present a special report on the country’s energy situation. With the Philippines’ rising population, will there still be enough energy for all to share? And is there hope for places where residents still live in the dark? Mother Earth has its own ways of providing energy—the sun, the wind, the heat from within its core. If unlocked, these forces can supply renewable and sustainable energy for many. But how do humans harness its power? Discover the connection between nature and the energy people consume. 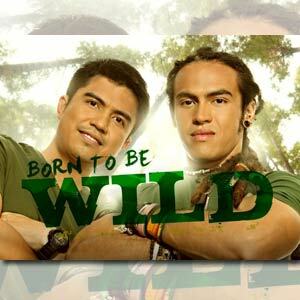 The third installment of Born to be Wild’s Green Agenda Report airs this Thursday, April 29, after Saksi on GMA-7.